How are you. Back after so long with this Fab Bag post. I know I am quite busy in lot of things these days so really apologize for not being regular with my posts but as always I am here with this November 2016 Fab Bag, because this is something I just cannot miss and afford sharing with my readers, since I know like me, you too feel excited to receive this fab goodies filled up bag. So without making you wait further let me show you the products in this Fab Bag Noevember 2016 - The Ready Set Glow. The Body Shop Drop Of Youth Concentrate - Rs 2895/- for 30 ml. Just Herbs Aloe Vera Facial Massage Gel - Rs 445/- for 100 gm. 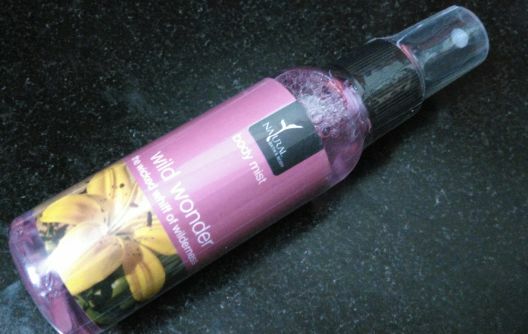 Natural Bath & Body Wild Wonder Body Mist - Rs 325/- for 200 ml. This November 2016 Fab Bag comes in red color with the glossy shine which gives a very vibrant touch to itl. I guess because of this glow theme this time, they decided to make it this way. This time there are 4 products unlike usual 5 but I am actually loving all the 4 products infact finding these better because normally samples are there which are little difficult to be reviewed in detail and I always feel I am not doing complete justice to the product with few usage so try using them for little longer time and that too on different days with different temperatures if possible for a much better review. Anyways lets start with the products individually with the self choosen product. 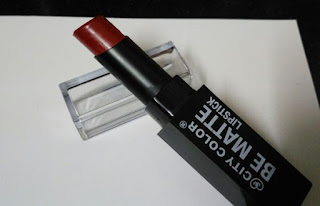 I had an option to choose the shade in this City Color Lipstick and I chose this Samy shade finding it to be unique in the orange red tint since other shades were of pink and reds mostly and as you all know I am like overloaded with Red lipticks so whichever Red shades come to me now goes further in form of gifts. This is a beautiful vibrant red shade with the orange tint and has an extremely smooth application about which I will be discussing in the detailed individual review. I think this Body Shop Drop of Youth Concentrate would be my most loved product of this time since winters are almost there and we all crave for that soft silky luminuos skin in winters when it mostly tends to be dry and flaky, so obviously getting a product with such wonderful claims at the right time that too of a brand like The Body Shop, is surely a good suprise. I would soon share my expereince of this Youth Concentrate Serum with you all very soon. 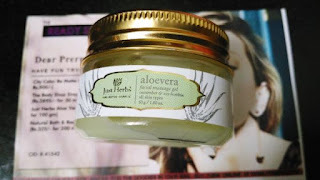 This product is another good product for my skin tone. I have mix of oily dry skin and I would be trying this gel every night before sleep to find out its effect on my skin tone. It would be the best time to see how Cucumber gel works on my pores giving me fresh looking radiant skin. Though I prefer using body mists more in summers than in winters because of its cooling effect but still like them all the year round. The fragrance of this mist is actually wild with a very sensuous touch and can really make anyone go crazy for you...You know what I mean girls. So nice products are always welcome anytime anywhere. So this was all about this month's November Fab Bag 2016 - The Ready Set Glow. I am actually loving this bag more than previous months's bag because I feel though the products are only 4 in number but better in quality and quantity. 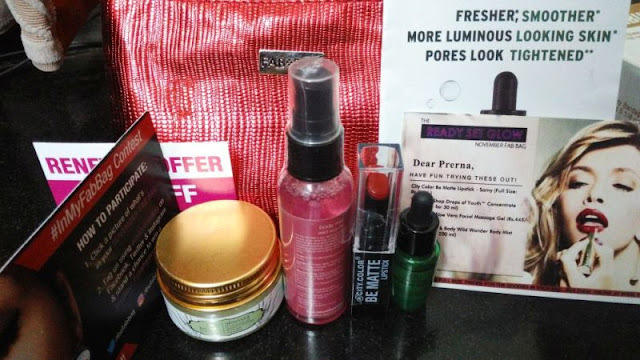 I would try to update their individual reviews once I start using them, till then you subscribe for your own Fab Bag to actually recieve packets of beauty at your doorstep every month.